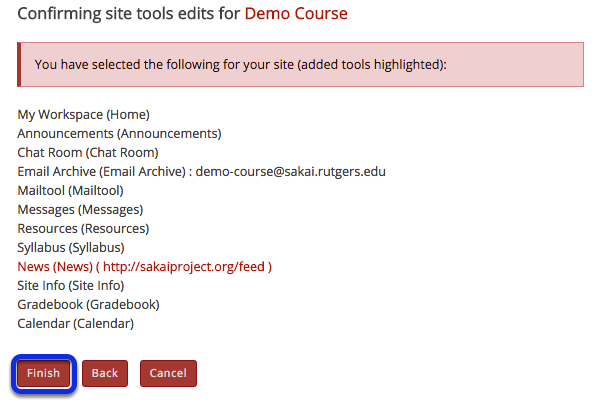 Instructor User Guide NewsHow do I add a News tool? Select the check box next to News. Zoom: Enter the News item information and save. Optionally, if you want to add more than one news feed at a time, you can select to add additional items from the More News Tools? drop-down menu. Click Continue to save your settings. Click Finish to complete the site tools edit. 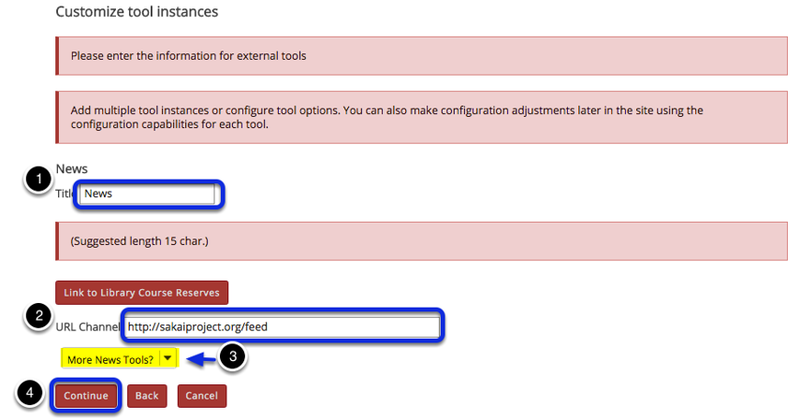 Prev: What is the News tool? Next: How do I edit the News tool?